This week's Free GM Resource is a mapping program that really made me think it was the love child of MapTools and Dungeon Crafter. 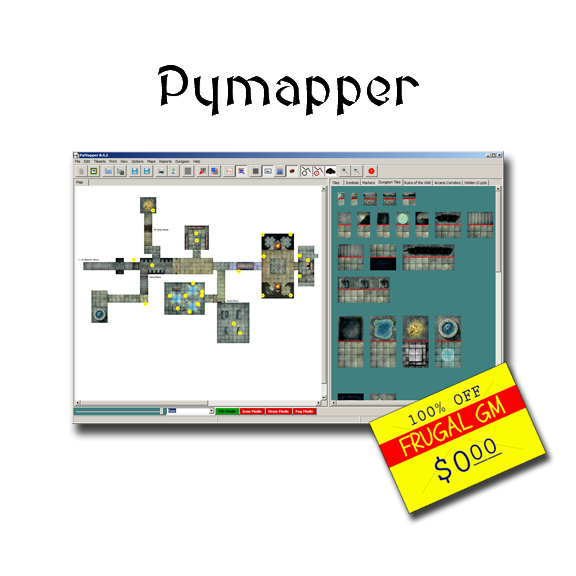 Pymapper is a tile-based map generator that has a decent amount of functionality. It isn't as straight-forward (or easy) to use as DC, but it does have quite a few non-obvious bells and whistles that remind me of MapTools. Of course the fact it is available, unlike DC, means that it might serve as a substitute for that program. I installed and played around with Pymapper this morning and it took me a while to simply load up some of the tilesets I had downloaded from the website. Evidently it didn't like the fact I had renamed the folders of each tileset. There are some tutorial PDFs online, and in at least one case, in the Pymapper files themselves. 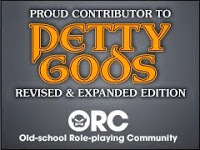 While I doubt I'll be using this program for my gaming needs, I think that there are a few folks who would find this a perfect fit. Frugal GM by Christopher Stogdill is licensed under a Creative Commons Attribution-NonCommercial-NoDerivs 3.0 United States License.